Hailed by the Maine Classical Beat for “a voice to die for [combined] with acting ability, beauty, and stage presence,” Israeli mezzo-soprano Maya Lahyani is fast-becoming one of today’s most sought-after young singers. Maya Lahyani’s 2018-19 season includes performances as Charlotte in the Israeli Opera’s new production of Jules Massenet’s Werther, based on Goethe’s famous novel. Maya will also return to The Metropolitan Opera to sing Maddalena in Michael Mayer’s famously vibrant, Las Vegas-themed production of Rigoletto, as well as Grimgerde in the Die Walkure. Maya will then reprise the role of Maddalena in the Seattle Opera’s production of Rigoletto. Maya Lahyani’s 2017-2018 season includes performances as the Second Serving Woman in Elektra under the baton of Yannick Nézét-Séguin and as Dorothée in a new production of Cendrillon at The Metropolitan Opera. She will also sing Maddalena in Rigoletto at the Berkshire Opera Festival in August and she covers the role of Dalila in Samson and Dalila at the Dallas Opera. Highlights of previous seasons include Ms. Lahyani return to The Metropolitan Opera to sing Flora in Willy Decker’s production of La Traviata. She also returned to Seattle Opera as Varvara in a new production of Janáček’s Katya Kabanova, as well as Flora in Peter Konwitschny’s production of La Traviata. Concert appearances included Mahler’s Second Symphony with the Charlotte Symphony, and an arias concert with the Sun Valley Opera. Lahyani was also the featured vocal soloist in a world premiere performance by the Alonzo King LINES Ballet. Ms. Lahyani has appeared at The Metropolitan Opera in numerous roles, including Lola in Sir David McVicar’s production of Cavalleria Rusticana, Omar in John Adams’s The Death of Klinghoffer under the baton of David Robertson, Flora in La Traviata, Rosette in Laurent Pelly’s production of Manon conducted by Emmanuel Villaume, Kate Pinkerton in Anthony Minghella’s production of Madama Butterfly, Käthchen in Werther, Third Sprite in Rusalka, Altichiara in Francesca da Rimini, and Fiona in the Met premiere of Nico Muhly’s Two Boys. 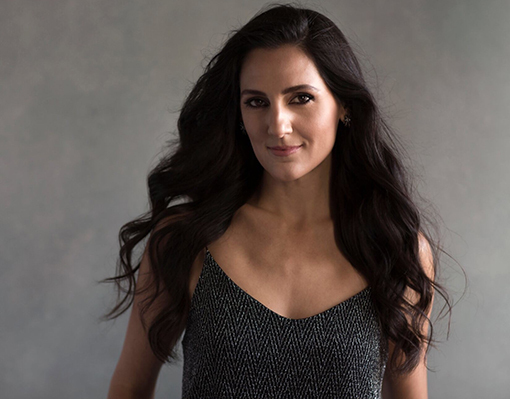 She is the first Israeli-born singer to sing on the Met stage. Highlights of Ms. Lahyani’s recent seasons include the title role of Carmen at Opera Las Vegas and PORTOpera, her debut with the Canadian Opera Company as the Page in Atom Egoyan’s production of Salome while concurrently covering the role of Mère Marie in Dialogues des Carmélites, Countess Ceprano in Rigoletto at the Hollywood Bowl with Gustavo Dudamel leading the Los Angeles Philharmonic, Dryad in Ariadne auf Naxos at the Seattle Opera, the Third Lady in Die Zauberflöte with the Dallas Opera, and Hänsel in Humperdinck’s Hänsel und Gretel with Opera Fairbanks. As an Adler Fellow with the San Francisco Opera, Ms. Lahyani’s roles and productions with the company included Siegrune in Die Walküre, Sister Marta and The Duenna in Cyrano de Bergerac opposite Plácido Domingo, Beppe in Merola Opera Program’s L’Amico Fritz, and the title role in Carmen for Families. Lahyani made her San Francisco Opera main stage debut in summer 2010 as Wowkle in La Fanciulla del West under Nicola Luisotti. 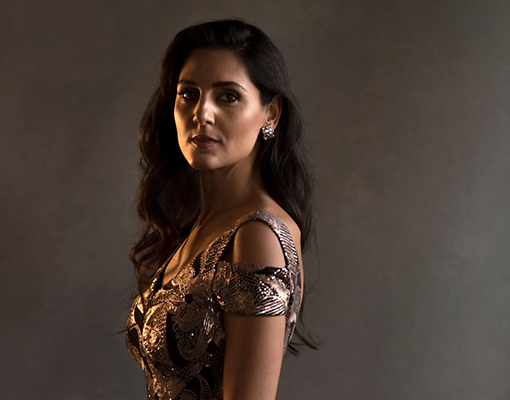 In past seasons at San Francisco Opera, Ms. Lahyani performed in the world premiere of Christopher Theofanidis’s Heart of a Soldier under conductor Patrick Summers and covered Maffio Orsini in Lucrezia Borgia. Prior her time in San Francisco, the mezzo-soprano was a member of the Seattle Opera Young Artist Program, where she appeared as Dorabella in Così fan tutte. She has also regularly taken part in The International Vocal Art Institute in Tel Aviv, where she has sung Mère Marie in Dialogues des Carmélites, Rebecca Nurse in The Crucible, the title role in Mascagni’s Zanetto, and Charlotte in Werther. Ms. Lahyani received her Bachelor and Master’s Degrees in Music from the Mannes School of Music in New York. Her concert work portfolio includes performances as the mezzo-soprano soloist in Mozart’s Requiem with the San Francisco Opera Orchestra and Chorus under the baton of Nicola Luisotti, Ravel’s Shéhérazade with the Jerusalem Symphony, Brahms’s Alto Rhapsody with the Sacramento Choral Society and Orchestra, and the alto soloist in Mendelssohn’s Midsummer Night’s Dream with Kurt Masur and the San Francisco Symphony. Ms. Lahyani was a 2010 grand finalist of the Metropolitan Opera National Council Auditions and a 2008 finalist in the Joy in Singing Competition. She has been awarded scholarships by the San Francisco Foundation, the America-Israel Cultural Foundation, the Ronen Foundation, and the Israeli Vocal Arts Institute.